Lucinda Lavelli, who began her tenure as dean in 2006, oversees the University of Florida College of the Arts. UF is a land-grant, sea-grant and space-grant public educational institution based in Gainesville, Florida, which enrolls approximately 50,000 students annually. As one of the 16 colleges and more than 150 research centers and institutes at UF, the College of the Arts houses baccalaureate, master’s and Ph.D. degree programs and its approximately 1,100 majors and 100 faculty members in its three institutionally-accredited schools — the School of Art + Art History, School of Music and School of Theatre + Dance. Based on the work of the university and the college, Lavelli launched a creative campus initiative joining other major universities recognizing that arts are a catalyst for creativity and innovation and she has been invited to speak nationally and internationally on the topic. In 2014, UF received more than $700 million in research funding — a tangible example of the rewards of innovation. As the university works to serve the demands of its students, academic requirements increasingly provide opportunities to foster the skills needed in the new marketplace of ideas. These skills — creativity, empathy, innovation, design skills, storytelling, caregiving and big-picture thinking — have long been developed in arts programs. Lavelli, along with college leaders, has positioned the College of the Arts as a partner incorporating creativity across the curriculum and campus through a number of initiatives including Creative Campus, SEA (Science, Engineering and the Arts) Change, Creative B, STEAM Quest, Creativity in Arts and Science Event (CASE) and Art on Campus. She has also worked to strengthen the college’s interdisciplinary centers, institutes and affiliates, including the Center for Arts in Medicine, Center for Arts and Public Policy, Center for World Arts, Digital Worlds Institute and the college program of the New World School of the Arts in Miami. 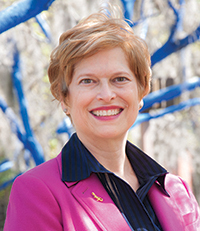 Prior to her service at the University of Florida, Lavelli was the first provost and vice chancellor for arts and academics at the North Carolina School of the Arts from 2002 to 2006. From 1993 to 2002, she served at the University of Akron as director of the School of Dance and then as director of the School of Dance, Theatre, and Arts Administration. Lavelli earned a master’s degree in nonprofit management and a Master of Fine Arts in Theater Arts and Dance, both from Case Western Reserve University; a bachelor’s in psychology from Denison University; and, certification in Laban Movement Analysis from the Laban/Bartenieff Institute of Movement Studies. Lavelli has been an active member of numerous boards and arts organizations. In 2013 she was awarded the Professional Achievement Award from the Alumni Association of Case Western Reserve University and in 2005 was awarded the OhioDance award for service to the artform. Currently she serves on the boards of Dance Alive! National Ballet; New World School of the Arts, a public conservatory for high school and college students in Miami; and, the Laban Bartenieff Institute of Movement Studies (LIMS). She serves on the advisory boards of the publication Dean and Provost and Groundworks Dance Theatre. 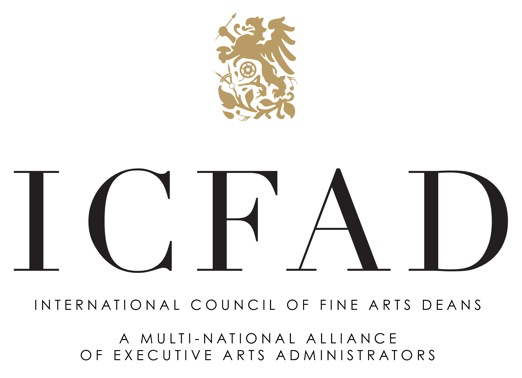 She was the founding institutional member of the Arts Alliance for Research Universities (a2ru) and is the past president of the International Council of Fine Arts Deans (ICFAD) and the Florida Higher Education Arts Network (FHEAN).